Philani Family Fund was started in 2005 by a group of exchange student-volunteers from the United States who decided to assist impoverished families from the Philani Outreach Program. The volunteers not only wanted to raise funds and build homes, but two of them, Rob Rosenbaum and Dianna Kane, decided to start a fund to assist more disadvantaged families. Philani Family Fund is now an integrated Project at the Philani Nutrition Centre. Sponsored by CHOSA, it supplements the outreach and Orphaned and Vulnerable Children Programs at Philani. The fund’s mission is to equip families and communities with the necessary tools to get themselves out of poverty. This includes emergency relief that comes in the form of housing, after which a comprehensive plan is established to assist families to reach a long-term goal. Some housing grant beneficiaries have included a grandmother taking care of two young twins after their mother passed away; a single mother whose child was fighting severe health complications; a domestic abuse victim who desperately needed a safe place to stay; The program also provides schooling bursaries (scholarships) and job training sponsorships, as well as grants for basic items that often get ignored by other initiatives such as pre-school fees, transportation costs, and high school books. 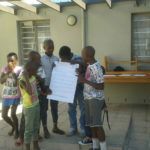 Grant recipients “pay it forward” by volunteering at Philani, or making regular donations to assist future recipients. 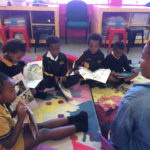 For more information, check out www.philani.org.za/programmes_chosa.php.